Download the schedule and never miss a club meeting again!  Download the schedule for a full list of all the amazing clubs Flex ED has to offer! You’re invited to join me as I visit some interesting places and events around Saskatchewan! We will begin with Wanuskewin in October and continue with different events throughout the school year! We will be gathering as a group on playing various co-operative games on public servers. We may also have the chance to develop our own world on a private server. Come and join in the fun! Sometimes girls need to a chance to get together and talk about things that really matter to us! Our club provides a safe space for girls to come together, share stories, discuss important topics and make friends. Using research to develop arguments students will endeavour to convince the opposition that they are right. When the two sides agree on a subject or when one side’s arguments are stronger than the others, the debate comes to a close. Art Club is a skill building class for K-12. Art Club is theme based and can be inspired by a feature artist, by the seasons, by cultures or medium focused.  Students will experience and explore different materials e.g chalk pastels, oil pastels, felt markers, pencil, pencil crayons, collage etc. Students will gain confidence in their creativity and learn the techniques associated to the materials. Stress has become a norm – an absolute epidemic in our society. This club will look at mental health from a positive aspect, by looking at what protective factors are (supports such as family and friends), and how to increase them. We will identify our stressors and collaborate in ways to minimize them. We will talk about the importance of setting goals and strategies to follow through with goals to minimize stress. The overarching goal is to focus on a positive growth mindset.  Flex ED has a wide variety of clubs offered to all of our students. Some are more targeted to specific age ranges and some are open to everyone. Download our full list of clubs to get started!